"Shifting Gears: Moving from Reactive to Proactive Enterprise Planning"
The proactive planning and analysis components of a comprehensive, enterprise planning system enables any organization to quickly deliver a sophisticated, linked planning model that accurately reflects business in all its inevitable complexity and detail.Is your organization able to employ the best practices for proactive planning, budgeting, forecasting and analytics? What are the key elements of a highly-effective planning and forecasting process for enterprises seeking higher levels of performance and business optimization? Why are companies moving to rolling forecasts in lieu of an annual budget cycle? 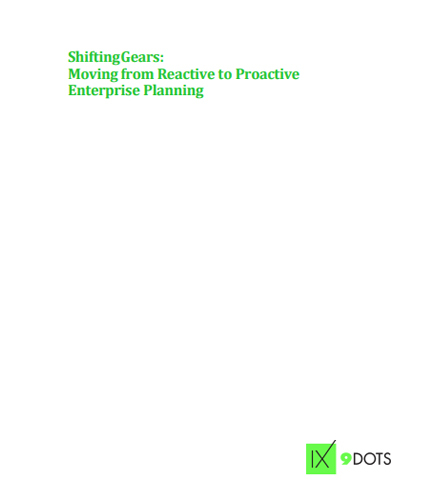 How are leading organizations meeting today’s challenges through proactive planning and analysis? How to improve cost discipline and mitigate risk with a proactive planning solution?